It was an interesting thing to flow straight from Thanksgiving into the first Sunday of advent this year. I know Thanksgiving as a holiday is a creation of our secular history, not the church, but I find its timing appropriate. Maybe I’ve never seen it as closely linked as this year, when the seasons practically overlapped. When, still full from turkey and giving thanks, all of a sudden we were at church and lighting the first advent candle. 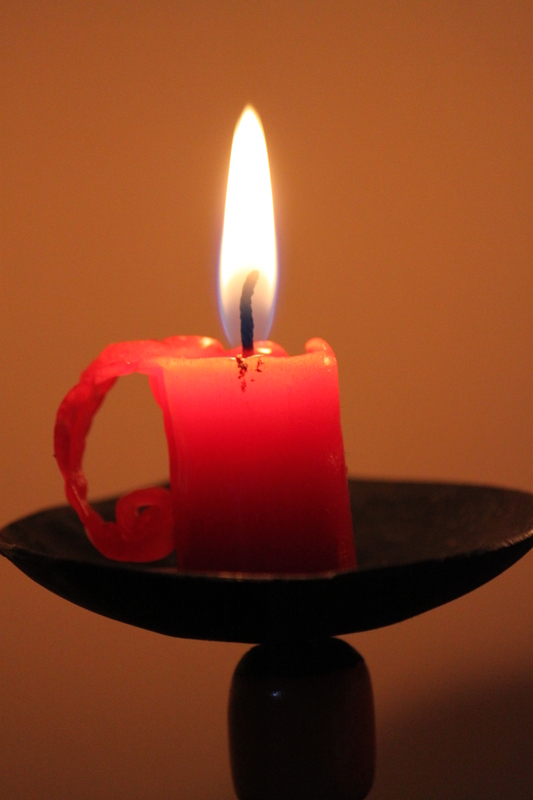 The candle of hope. It seems appropriate, in an intentional season of waiting, to begin with hope. And it seems appropriate, though I never thought of it before, to give thanks for it. To give thanks for the reminders of waiting. Tags: hope, marriage, singleness, waiting | Permalink.